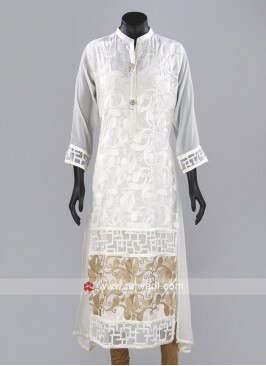 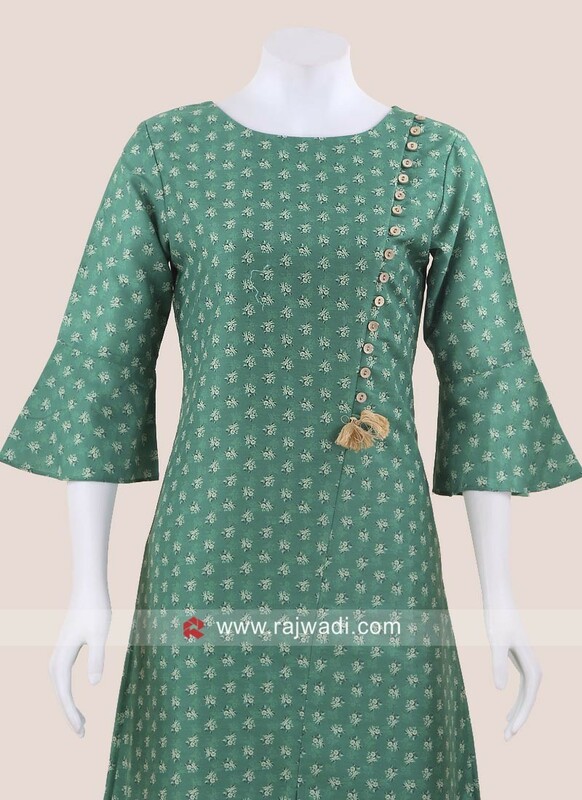 Beautiful Forest Green printed tunic has bell sleeves and side fancy buttons for a stylish look. 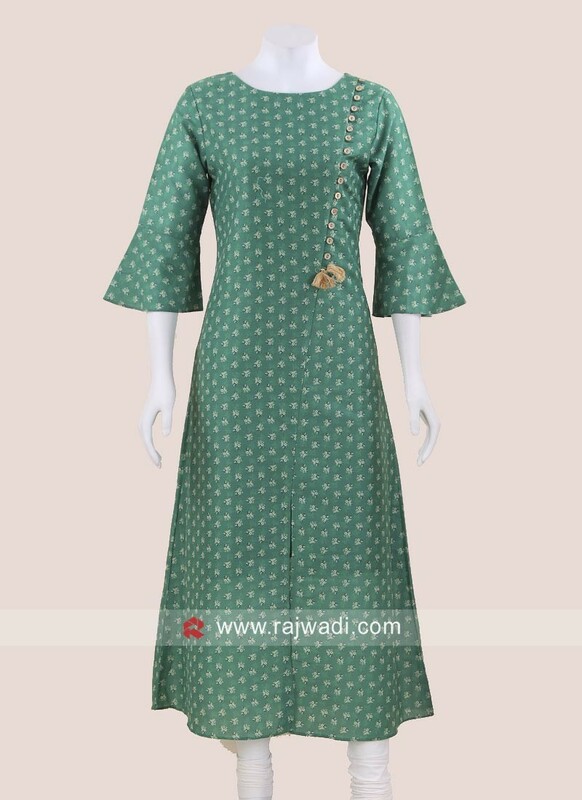 Made from Crepe fabric. 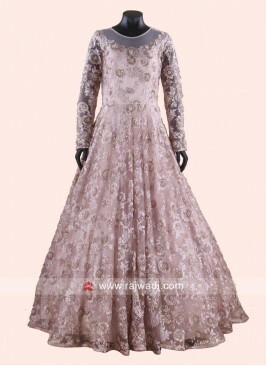 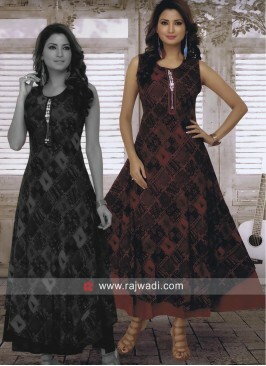 Brown Sequins Work Full L.. 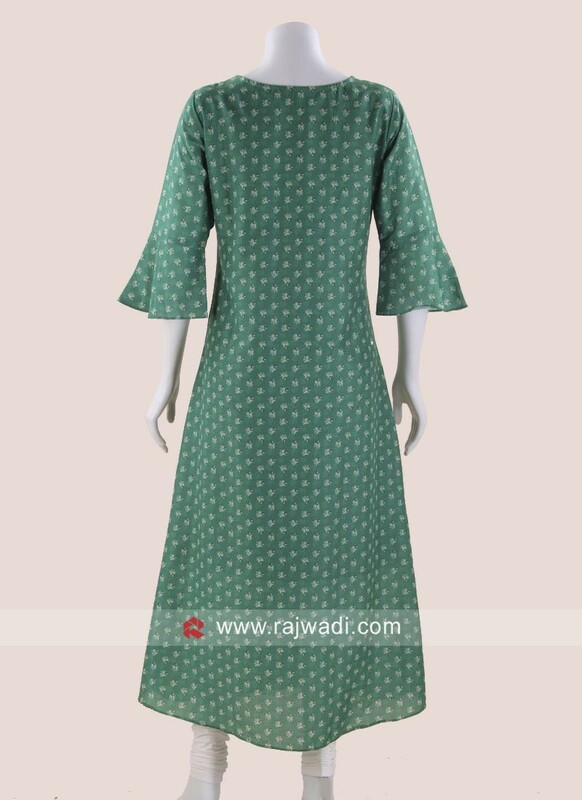 Silk Maxi Style Long Kurt..
Cotton Kurti in Mustard Y..
Layered Kurti in Dark Mar.. 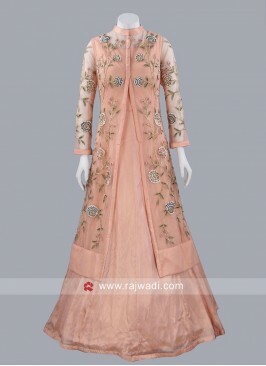 Printed Long Cotton Silk ..
Net Floor Length Gown in ..
Peach Long Gown with Desi..
Green Silk Kurti with But..